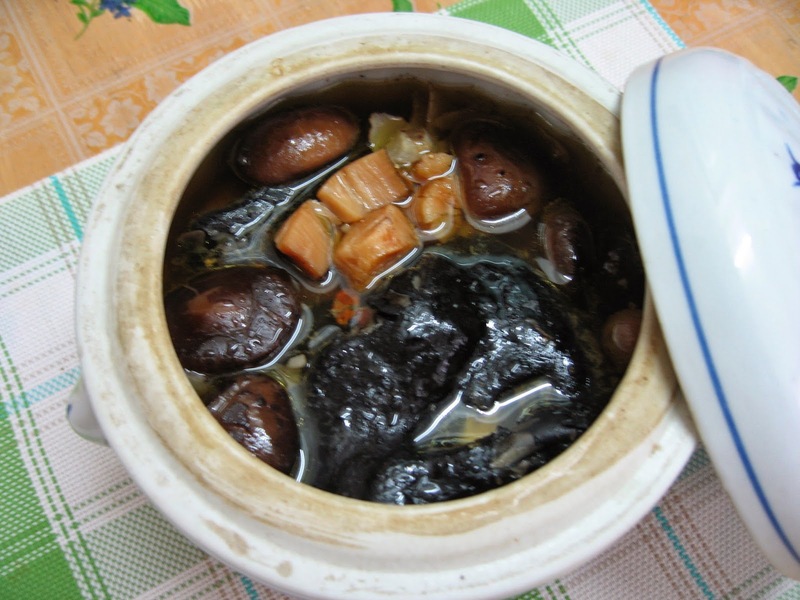 Black chicken is believed by the Chinese to be "poh" that is, it can boost your energy level.. 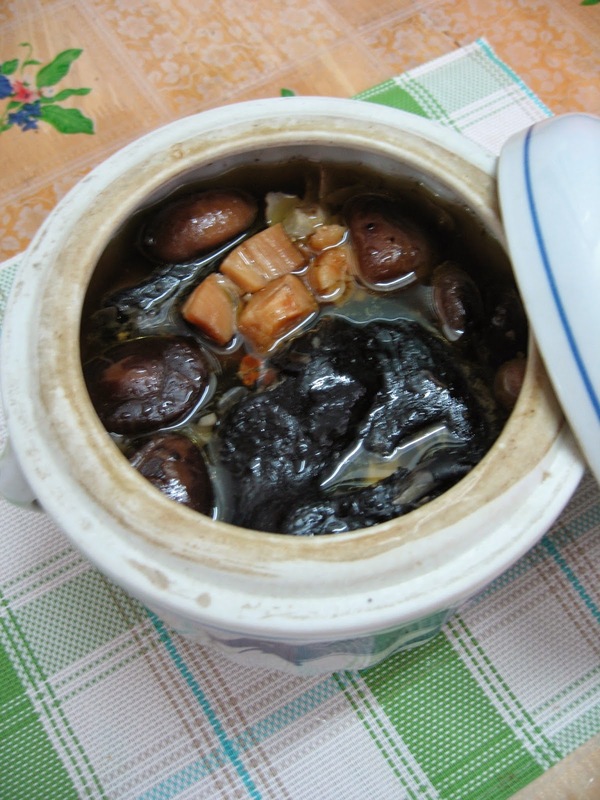 When it is combined with Chinese herbs, dried scallops and mushrooms a tasty and nutritious soup is brewed. Try to remove as much fat as possible from the chicken before steaming. Otherwise the soup will be very oily. SK and I like this soup . We find it tasty and naturally sweet. But then the old saying "one man's meat is another man's poison" holds true. My youngest son, YS, refused to eat the black chicken. To him the black chicken is yucky! 1. Chop off the head and feet of the black chicken. Cut the black chicken into halves. 2. Soak dried mushrooms until soft. Remove the stems. 3. Place the chicken pieces into a large casserole. make sure the casserole has a tight-fitting lid. 4. Add in Solomon's seal, dried figs, mushrooms, wolf berries, ginger slices and dried scallops into the casserole. 5. Pour water into the casserole and cover it. 6. Steam over boiling water for 2 1/2 hours. 7. Remove the casserole and add in salt. Stir to mix well. This soup must be so sweet and flavourful!